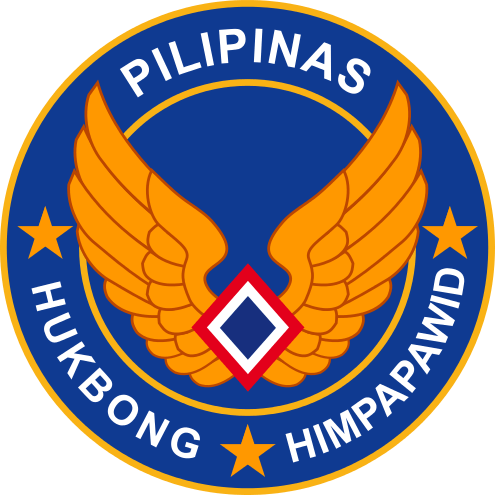 The Philippine Air Force (PAF; Filipino: Hukbong Himpapawid ng Pilipinas; Spanish: Fuerza Aérea Filipina) is the aerial warfare service branch of the Armed Forces of the Philippines. 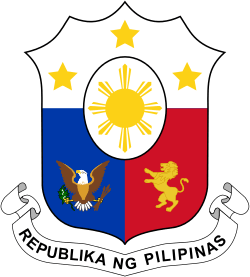 "To organize, train, equip, maintain and provide forces to conduct prompt and sustained air operations to accomplish the AFP mission"
"A Professional and Competent Air Force Resposive to National Security and Development"
The forerunners of the Philippine Air Force was the Philippine Militia, otherwise known as Philippine National Guard (PNG). Senate President Manuel L. Quezon enacted a bill on March 17, 1917 for the creation of the Philippine Militia, the bill was known as Militia Act 2715. It was enacted in anticipation that there would be an outbreak of hostilities between United States and Germany. A Philippine Air Force C-295M taxis after landing at the Legazpi Airport in Legazpi City, Albay. The aircraft is assigned to the Tactical Operations Group 5 of the Philippine Air Force. With the new acquisition of the C-295M, one commissioned on 30 March 2015, a second C-295 arrived September 2015 for evaluation before commissioning, a total of three C-295M's are to be delivered between 2015 and 2016, which boosts the PAF's transport capability with an additional two C-130T's being acquired through the US foreign military sales program. The PAF currently has three active C-130's which were heavily used during the 2013 Typhoon Yolanda crisis. In December 2014, the PAF received 2 of the 8 AW-109E power attack version helicopters from Agusta Westland and was commissioned August 2015, 6 more are expected to be delivered. These additional helicopters aims to boost its helicopter strike wing currently filled by the MD-520's. The MD-520's has been used to conduct operations against terrorist groups in Mindanao. Some additional 21 refurbished UH-1 Huey's are due to arrive along with the NC-212 Aviocar acquired the same date as the CASA C-295M. In March 2015 the DND announced the upgrading of an old radar station to improve its air defense monitoring capability. In May 2015, the Philippines expressed interest in acquiring a number Lockheed P-3 Orion from Japan, which the Japan Maritime Self Defense Force (JMSDF) is planning to retire within a few years time. In August 2015 all Bell-412 helicopters where delivered and commissioned, 3 where for VIP and 5 as combat utility helicopters. In September 2015, 30 defence acquisition projects including the LRPA, 2 brand new frigates, ASW helicopters and CAS has been approved and green lit for bidding by President Benigno S. Aquino III. The projects were put on hold due to the pending signing of the new AFP Modernization Law. In November 2015, the Philippine Air Force took delivery of two new South Korean FA-50 light multi-role fighter-trainer supersonic jets, arriving at Clark Freeport Air Base. A total order of 12 will be delivered by 2017. The goal is to re-establish a capability to quickly respond to threats while ultimately transitioning the PAF back into supersonic capability with future plans of acquiring multi-role fighters by 2018. In December 2015, 2 FA-50 light-multirole fighter trainers along with the second C-295M and 6 AW-109 attack helicopters were commissioned and accepted into service with the Philippine Air Force christened and attended by President Benigno S. Aquino III. Build the PAF capability to detect, identify, intercept and neutralize intrusions in the Philippine Air Defense Identification Zone (PADIZ) and the West Philippine Sea (to the North and West of the archipelago) from Area Readiness 4 to Area Readiness 3 by 2022. Maj. Gen. Vicente M. Piccio, Jr.
Maj. Gen. Ramon J. Farolan, Jr.
Maj. Gen. Jose De Leon, Jr.
Lt. Gen. Nicasio Rodriguez, Jr.
Lt. Gen. Benjamin P. Defensor, Jr.
Over 15 years after the 1995 passage of the Armed Forces Philippines (AFP) Moderation Program (Republic Act 7898), the Philippine Air Force remains in dire need of modernization. The current incarnation of the AFP modernization program is the Capability Upgrade Program (CUP) which defers PAF-related modernization efforts to the second and third phases of a three-phase program. Much to the consternation of PAF observers and personnel, the first phase, dubbed "Back to Basics" focuses on improving the AFP's ability to conduct Internal Security Operations (ISO). What little funding the PAF receives in this phase revolve around the PAF's role in supporting ground operations. More advanced aircraft are expected in Phases 2 and 3 of the CUP, which is when genuine modernization is expected to start. PAF-related components of these phases are grouped into what it calls "Horizon programs", with Horizon 2 expected to begin in the 2010 to 2012 time frame. Assets acquired during the modernization program are: 8 PZL W-3 Sokół, and 18 SF-260F. On recent release of the PAF flight plan 2028, the Philippine air force indicated further plans of acquiring more advance assets such as AEWAC's, ECM aircraft, medium/heavy lift helicopters advance multi-role fighters and possible additional FA-50's. In 1991 the newly democratic Russian government offered the PAF several of its aircraft including the Mikoyan MiG-29 and Sukhoi Su-27 during a demonstration held at Villamor Air Base. In 1992 the PAF received offers for both the IAI Kfir and the F-16 Fighting Falcon. It was reported that the DND will be acquiring multirole fighters by 2018. In May 2010, Air Force chief Lt. Gen. Oscar Rabena announced that the PAF was ordered to submit generic types of advanced jet trainers that will replace the S-211. According to Gen. Rabena, they are choosing models from Europe and Asia, and following evaluation, the Department of National Defense will open bidding for the purchase of such aircraft. In March 2012, the AMX fighter was one of the items inspected by a DND delegation Italy possible procurement of used AMX aircraft, although no official information has been released if purchases will be made on the said aircraft. On June 19, 2012, it was reported that the Department of National Defense (DND) selected the supersonic TA-50 Golden Eagle from South Korea to augment the need of the Philippine Air Force for advanced trainers which can also be converted as fighter jets. The Philippines intends to acquire 12 units at ₱1.25 billion (USD29.4 million) each. In July 2012, state media reported that the selection had been narrowed down to the TA-50, M-346, Yak-130 or the BAE Hawk. On January 30, 2013, it was confirmed by the Philippine government that the FA-50 Fighting Eagle light fighter trainer has been selected for acquisition for 18.9 billion pesos (USD309 million). 12 units are to be purchased. As of April 23, 2013, the Department of National Defense (DND) is in the last stages of procuring the FA-50. On February 21, 2014, it was announced that the Philippines and South Korea completed the negotiations for the acquisition of 12 lead-in fighter trainer jets from South Korea. The Department of National Defense Special Bids and Awards Committee approved the offer of Korea Aerospace Industries (KAI) in a meeting that was held in Camp Aguinaldo. On March 28, 2014, it was announced by the state arms procurement agency of South Korea that South Korea signed a USD420 million contract Friday to export 12 FA-50 fighter jets built by Korea Aerospace Industries (KAI) to the Philippines under a government-to-government deal. On 20 June 2012, it was reported that the Embraer EMB 314 Super Tucano from Brazil is a possible contender for its aircraft for a total of 6 units, which will be acquired for PhP4.968 billion (USD 115 million). The Department of National Defense, on behalf of the PAF, is currently pursuing the following acquisition projects: eight (8) Combat Utility Helicopters (CUH), 8 attack helicopters (AH) and 21 additional UH-1H helicopters. Five refurbished UH-1H helicopters from the United States government were handed-over to the PAF on 10 January 2011. On 20 June 2012, it was reported that an additional 21 units of used UH-1D Huey utility helicopters from an unspecified country will be acquired for ₱1.2 billion (USD27.9 million). The helicopters will come from the United States and are expected to be delivered by December 2012. But it was reported the bidding failed because the two firms that submitted offers had failed to meet certain eligibility requirements. After three failed bidding processes, DND proceeded to negotiate with the joint venture of Rice Aircraft Service Inc. and Eagle Copters, and finally awarded them the project on December 28, 2013 for a negotiated amount of ₱1.26 billion for 21 refurbished UH-1 helicopters. The first batch of the helicopters were expected to arrive within six months after the awarding. In April 2015, the DND officially terminated the contract for the remaining undelivered UH-1's from Rice Aircraft Service Inc. and Eagle copters, due to failure to comply with the delivery schedule which was due on September 23, 2014. Out of 21, only 7 were delivered and were in good flying condition when strictly evaluated and tested. On 29 April 2015 Janes reported that Rice Aircraft intended to overturn the DND's decision to partially cancel the contract for the remaining UH-1 Huey's. With a shortage of transport aircraft, the Philippine Air Force announced in February 2010 its intention to purchase a refurbished C-130H and three smaller transport aircraft to augment its fleet, and an invitation to bid was released with DERCO Aerospace declared as the only bidder with an ex-Tunisian Air Force C-130H. This might eventually replace the N-22B Nomad transport planes currently in service. But by June 2011, the DND declared a failure of bidding and instead are now looking for EDA from friendly countries. In December 2011, President Noynoy Aquino promised to buy at least two more C-130 cargo aircraft by 2012. On July 24, 2014, the government ordered two additional refurbished C-130T aircraft, along with 10 Allison T56 turbopop engines from the United States through DSCA. These two C-130T aircraft will be delivered to the country next year. The government are now exploring plans to purchase C-130 aircraft from Australia. Two Philippine Air Force C-130 underwent a Programmed Depot Maintenance (PDM), one C-130H t/n 4704 with British Aerospace in California, United States while the other, a C-130B, is with PAF's 410th Maintenance Wing at Clark Air Base. The C-130H arrived in Manila on 17 October 2012, while the C-130B with t/n 3633 returned to active status on 28 December 2012. Another C-130 is expected to go through a similar recovery and overhaul program by the 410th Maintenance Wing. On 20 June 2012, it was reported that the IPTN NC-212 Aviocar light lift transport aircraft from Indonesia was chosen and a total of 2 units will be acquired for PhP 814 million (USD 18.9 million). On September 26, 2013 the DND declared PT Dirgantara Indonesia/Indonesian Aerospace (PT DI/IAe) as the only qualified bidder. They are offering the Series 200, Series 300 and the Series 400 versions of the IPTN NC-212 Aviocar. The version to be delivered is the NC212i, the new generation of aircraft types NC212-200 or NC212-400. A notice of award was issued by the DND to PT DI in January 2014 after clearing the post-bid qualification requirements, and PT DI is required to deliver the aircraft within 548 calendar days from the opening of the letter of credit. Below are the various aircraft of the Air Force. FA-50 Fighting Eagle South Korea Light fighter / Lead-in fighter trainer FA-50PH 4 8 Contract signed in March 2014 for 12 aircraft. First 2 aircraft were commissioned December 2015. SIAI Marchetti S-211 Italy Light attack aircraft / Basic jet trainer AS-211 3 - Locally upgraded to AS-211 "Warrior" standard to do air-to-ground missions. 11 more airframes stored, 3 more planned for reactivation. OV-10M (SLEP) 10 - Some OV-10A were upgraded to OV-10M (SLEP) with four-bladed propellers by Marsh Aviation. 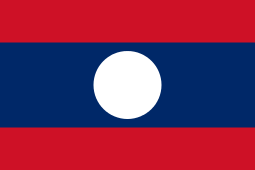 Eight OV-10C provided by Thailand between 2003 and 2004. Some units upgraded to deliver Paveway LGB. Alenia Aermacchi SF-260 Italy Light attack aircraft SF-260TP 10 - 10 "TP" models configured for light attack. Fokker F27 Friendship Netherlands Maritime patrol aircraft F27-200MAR 1 - F27-200MAR c/n 10620, part of 3 ordered in the 1980s. 2 other units written-off. Radome removed. - Total 4 in service, H model t/n 4726 & 4704, and B model t/n 3633. 6 more C-130B & L-100-20 stored. Two ordered C-130Ts from the US will be delivered by early 2016. 1 C-130T arrived and commissioned April 2015. 1 - F27-200 t/n 59-0259 (c/n 10115), F27-500F c/n 10669 acquired in 2005. 1 - Total 3 serviceable, N-22C t/n C-87, N-22B t/n B-19, B-68. Another N-22B t/n B-12 probably also in service. Airbus Military/IAe NC-212 Aviocar Indonesia Light utility transport NC-212i - 2 2 on order, expected delivery by mid-2015. 17 - 8 older "MP", 2 "MZ", & 18 new units "FH" as of 2012. 2 "MZ" are ex-Zambian Air Force models rebuilt by Aerotech Philippines and donated to the PAF. 1 "FH" model crashed on 31 Jan 2015. AgustaWestland AW109 Italy Armed scout helicopter AW109E Power 8 - 8 armed variants ordered. 2 arrived in December 2014, and commissioned on August 17, 2015. The remaining 6 were commissioned in December 2015. PZL W-3 Sokół Poland SAR / Combat SAR helicopter W-3A 7 - Operated by the 505th Search and Rescue Group. 8 acquired, one crashed in 2014 and is currently undergoing repairs, and another one crashed on November 8, 2016. AUH-76A 10 - The PAF originally received 17 aircraft. 1 More non-working units stored either waiting for reactivation or cannibalized as spares. PAF acquired license and was able to upgrade 3 units into Huey IIs in 2005. 46 units were counted to have been received by the PAF since the year 2000, although several expected to be not operational. Huey II t/n 662 being recovered back to service after crashing in 2011. 4 Only 7 out of 21 delivered, contract terminated with supplier due to delivery delays. 1 crashed and intentionally destroyed in November 2015 after it was deemed unrecoverable. 4 Super Deltas commissioned in January 2016. - PAF originally received 2 Bell 412HP in March 1994 (t/n RP-1998 and -2000), and 4 Bell 412EP in July 1996 (t/n RP-1896, -1898, -1946, and -1986) configured as VIP helicopters for the Presidential Airlift Wing, still unconfirmed if all were leased or owned by PAF. Bell 412EP with t/n RP-1946 crashed in 2009. 8 new Bell 412EP were ordered in March 2014, in which 5 will be configured as combat utility helicopters, while 3 will be in VVIP configuration. All 8 were commissioned on August 17, 2015. Sikorsky S-70 Black Hawk USA VIP transport S-70A-5 1 - 2 delivered in 1984 (t/n 738 and 739), but 1 crashed & written-off (t/n 738) in May 1992. The Philippine Air Force has twelve bases located throughout the archipelago. The Philippine had a number of Aerobatic team during the 70's. ↑ "Military Strength". 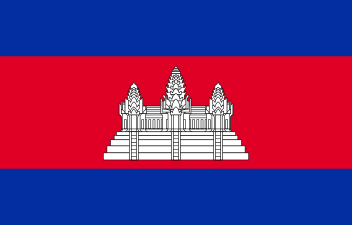 17 February 2015. Retrieved 23 February 2015. 1 2 3 "History". Philippine Air Force. Retrieved July 21, 2012. ↑ "PAF History". paf.mil.ph. Philippine Air Force. Retrieved 2012-06-24. ↑ John Pike. "SIAI-Marchetti AS-211 Warrior". globalsecurity.org. ↑ AFP Public Affairs Office. "25 killed in renewed Maguindanao clashes". ptvnews. ↑ "PH to upgrade old air station with air defense radar". Rappler. ↑ "Philippine Navy considering to acquire P-3 Orion from Japan". tankler.com. ↑ "What's the latest on Long Range Patrol Aircraft of PAF?". tankler.com. ↑ "Deal to buy 12 fighters jets from South Korea reached". inquirer.net. ↑ "PHL to get MRF by 2018". balita.ph. ↑ "Chiefs of PAF from present to past". paf.mil.ph. Philippine Air Force. Retrieved 2012-06-24. ↑ Mangosing, Frances (March 8, 2016). "Helicopter pilot Lt. Gen. Fallorina is new Air Force chief". Philippine Daily Inquirer. Retrieved March 9, 2016. 1 2 "Republic Act 7898: AFP Modernization Act" (PDF). Congress, Republic of the Philippines. 1995-02-23. Retrieved 2009-04-08. 1 2 "Philippine Defense Reform". Department of National Defense. 2005-01-19. Archived from the original on 2008-08-22. Retrieved 2009-04-08. ↑ Joel Guinto (2008-07-15). "AFP aims for 70% capability vs internal threats". Inquirer.net. Retrieved 2009-04-08. ↑ "First Batch of Philippine Air Force Sokols Enter Service". PZL Swidnik. ↑ "Modernization Options". Opus224's Unofficial Philippine Defense Page. ↑ "Manila narrows fighter choice". Flight International. 1996-10-15. ↑ "Philippines seeks 12 F-16 fighter jets from US". Huffington Post. December 21, 2011. Retrieved 2012-01-18. ↑ "PAF seeks 12 F-16 fighter jets from US". April 19, 2012. ↑ "Purchase of new jet fighter eyed." BusinessWorld, 16 May 2012. ↑ Dudley, Richard. "Philippines Looking to Buy Non-USA Combat Aircraft." Defense Update, 20 May 2012. ↑ "PHL to get MRF by 2018". balita.ph. 2014-04-01. Retrieved 2014-04-08. 1 2 "PAF getting 18 new training jets at ₱660 million". Business Mirror. 2010-05-19. Retrieved 2010-05-22. ↑ "DND signs five-year agreement with Italy". The Philippine Star. February 8, 2012. Retrieved 2013-11-20. ↑ "Armed trainers to help Philippines rebuild fighter capability". Flightglobal (c/o Flight International). 2011-07-04. Retrieved 2012-04-20. 1 2 3 "Russia's Yak-130 Joins Philippine Combat Trainer Tender". RIA Novosti. 2012-04-18. Retrieved 2012-04-20. 1 2 3 "Airplanes and tenders: Alenia-Aermacchi M-346 and Yakolev Yak-130 will compete for Philippines". Avio News. 2012-04-19. Retrieved 2012-04-20. ↑ "Italy's Alenia seeks to supply DND up to P6.87-B worth of aircraft". GMA News. 2012-04-03. Retrieved 2012-04-20. 1 2 3 4 5 "Farnborough 2012: KAI confident T-50 family ready for Philippines, other international markets". IHS Janes. 2012-07-13. Retrieved 2012-07-13. ↑ "Aero Vodochody by chtelo Filipíncum prodat cvicné letouny L-159". Cesky Rozhlas (Czech Radio). 2012-03-20. Retrieved 2012-04-20. ↑ "Deal for 12 fighter jets signed soon: DND". ABS-CBNnews.com. 2012-06-20. Retrieved 2012-11-17. ↑ "Air Force to acquire 12 jet fighters from Korea". ABS-CBNnews.com. 2012-06-19. Retrieved 2012-11-17. ↑ "Philippines eyes 4 countries to buy fighter jets – The Mindanao Examiner". Retrieved 24 December 2014. ↑ "News – msn". Retrieved 24 December 2014. ↑ Daniel Ten Kate and Norman P. Aquino. "Philippines Nears $443 Million Deal for South Korea Fighter Jets". Businessweek.com. Retrieved 24 December 2014. 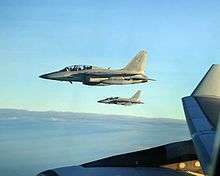 ↑ "PH nears deal on purchase of Korean fighter jets". ABS-CBN News. ↑ "12 South Korea Fighter Jets Ready For Delivery To Philippine". October 20, 2013. ↑ "Philippines, SoKor complete talks for 12 fighter jets". The Philippine Star. 2014-02-21. Retrieved 2014-02-21. ↑ "S. Korea exports 12 FA-50 fighters to Philippines". Yonhap News Agency. 2014-03-28. Retrieved 2014-03-28. ↑ "Philippines to consider OV-10 replacement". Flightglobal. 2011-01-18. Retrieved 2012-04-28. ↑ "AT-6 Texan @ Clark". Retrieved 24 December 2014. 1 2 3 "Kickback, ikinakatakot sa pagbili ng fighter jets". ABS-CBNnews.com. 2012-06-20. Retrieved 2012-06-21. ↑ "Invitation to Apply for Eligibility and to Bid (IAEB): Combat Utility Helicopter Acquisition Project" (PDF). Department of National Defense. 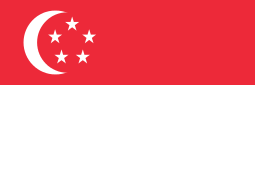 2008-07-14. Archived from the original (PDF) on March 26, 2009. Retrieved 2009-04-08. ↑ "Philippine Air Force Signs Contract for Eight AW109 Power helicopters". leonardocompany.com. Retrieved July 20, 2015. 1 2 "PAF welcomes supply deal boosting helicopter fleet". The Philippine Star. 2013-12-30. Retrieved 2014-01-12. ↑ "DND set to acquire 21 refurbished Huey helicopters" (PDF). DND.gov.ph. Retrieved August 26, 2013. ↑ "P1.2B night attack chopper deal goes to Ombudsman" (PDF). 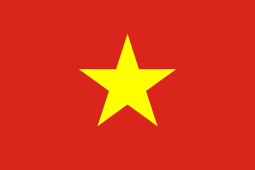 Department of National Defense – Office of Public and Legislative Affairs. 2011-01-10. Retrieved 2012-06-30. ↑ "PAF to get 25 more helicopters in December". Interaksyon.com (TV5). 2012-06-25. Retrieved 2012-06-25. ↑ "Bidding for purchase of 21 helicopters fails". philstar.com. Retrieved 24 December 2014. 1 2 "Govt stops P1.2B Huey deal". manilastandardtoday.com. ↑ "Rice Aircraft looks to overturn Philippine UH-1D contract termination". janes.com. ↑ "Philippine air force plans new transports deal". Flightglobal. 2010-02-22. Retrieved 2010-04-02. 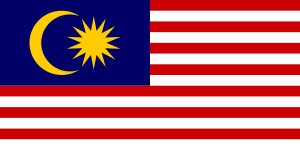 ↑ "RP to have 1st surveillance aircraft soon". Philstar.com. 2010-03-21. Retrieved 2013-11-20. ↑ "Air Force to buy 2nd hand C-130 plane for $34 million". ABS-CBN News. 2010-12-23. Retrieved 2010-04-02. ↑ "AFP to acquire light-lift aircraft – official". GMA News.tv. 2008-07-16. Retrieved 2010-04-02. ↑ Virgilio M Gaje. "PIA daily news in English, Tagalog, Cebuano, Hiligaynon, Ilocano, Waray, Pangalatok from around the Philippines". Pia.gov.ph. Retrieved 2012-01-16. 1 2 "Manila looks abroad for used C-130H". FlightGlobal. 2012-01-13. Retrieved 2012-04-28. ↑ "Philippine military to acquire Lockheed Martin C-130 planes for disaster relief". November 25, 2013. ↑ "Government of the Philippines – C-130T Aircraft". July 24, 2014. ↑ "Philippines' C-130s from US to be delivered 2015". July 24, 2014. ↑ "PAF to get 2 reconditioned C-130 planes". Philstar. 2012-01-12. Retrieved 2012-04-28. ↑ "Air Force gets newly refurbished cargo plane". Philstar. 2012-10-18. Retrieved 2012-10-18. ↑ "Philippine Air Force overhauls transport plane for the first time, saves P50 million too". Interaksyon.com. 2012-12-28. Retrieved 2012-12-28. ↑ Solmerin, Florante S. (26 September 2013). "Indon firm qualifies for chopper supply deal". manilastandardtoday.com. Manila Standard Today. Retrieved 30 December 2013. ↑ Sutianto, Feby Dwi (30 December 2013). "Tutup Tahun, PTDI Jual 2 Pesawat Made in Bandung ke Militer Filipina". detif finance. detikcom. Retrieved 30 December 2013. ↑ Romero, Alexis (27 January 2014). "Indonesian firm wins PAF aircraft supply deal". philstar.com. The Philippine Star. Retrieved 27 January 2014. ↑ "INVITATION TO BID Search and Rescue Seaplane Acquisition Project" (PDF). Department of National Defense (Philippines). Retrieved 14 March 2014. ↑ "Aquino announces new assets for Philippine Air Force". Solar News Online. 2014-07-01. Retrieved 2014-07-01. ↑ "DND postpones bidding for major ticket items". The Philippine Star. 2014-06-15. Retrieved 2014-06-15. ↑ "Philippines to get first two FA-50s early". IHS Jane's. 2015-03-03. Retrieved 2015-07-31. ↑ "SoKor's FA-50 fighter jets soon to patrol PH skies". Manila Bulletin. 2015-06-25. Retrieved 2015-07-31. ↑ "PAF Flight Plan Presentation". Philippine Air Force. 2015. Retrieved 2015-07-31. ↑ "SIAI-MARCHETTI S.211 production list". SIAI Marchetti aircraft. Retrieved 2012-04-05. ↑ "Reactivation of additional S-211s to train F/A-50 pilots". PTV News. Retrieved 2015-07-29. 1 2 3 4 5 6 7 "World Air Forces 2014" (PDF). Flightglobal Insight. 2014. p. 23. Retrieved 1 January 2014. ↑ "North American Rockwell OV-10 Bronco Observation / Light Attack Aircraft (1966)". www.MilitaryFactory.com. Military Factory. Retrieved 19 December 2013. ↑ "Bomber aircraft donation, security talks to highlight Thailand premier's visit to Manila". Gulf News. 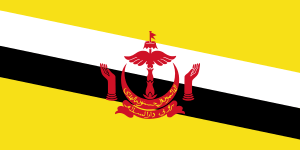 2003-09-08. Retrieved 2015-08-04. ↑ "Aircraft 10620 Profile". Aircraft-Data.com. Retrieved 2013-04-16. ↑ "Registration Detail for 11250 (Philippine Air Force) 690A Turbo Commander". Plane Logger/Taxiway Alpha Ltd. Retrieved 2015-08-06. 1 2 3 "With 3rd C-130 commissioned, Air Force boosts cargo assets". Interaksyon.com. Retrieved 2012-12-27. ↑ "Spy planes in progress". The Manila Times. 2015-06-25. Retrieved 2015-07-31. ↑ "Philippines to Purchase Two US C-130 Aircraft". US Embassy in Manila. 2015-01-09. Retrieved 2015-01-14. ↑ "Spanish firm wins bidding for supply of fixed wing aircraft". February 28, 2014. ↑ Amita Legaspi (March 30, 2015). "Gazmin says public procurement of C295 aircraft transparent and adhered to law". GMA News. Retrieved March 30, 2015. ↑ "Aircraft 59-0259 Profile". Aircraft-Data.com. Retrieved 2013-04-16. ↑ "10669". Airliners.net. Retrieved 2013-04-16. ↑ "Directory: World Air Forces". Flight International: 70. 2008-11-11. ↑ "66 planes to make flyby as Air Force marks 66th anniversary". Manila Times. Retrieved 1 July 2013. ↑ "PAF boosts capability, ready for modernization". Philippine Information Agency. Retrieved 2012-04-04. ↑ "'Tom Cruise aircraft' readied for the PAF". Philstar. 2010-03-20. Retrieved 2015-08-03. ↑ "A pictorial view of rebuilding three former Zambia Air Force SF.260MZ's by Aerotech Industries Philippines Inc.". www.siai-marchetti.nl. 2012-02-09. Retrieved 2015-08-03. ↑ "2 PAF pilots die as SF-260 plunges into sea". Philstar. Retrieved 2015-03-12. ↑ "AFP receives Korean trainer aircraft today". Malaya Newspaper. Retrieved 2012-04-04. ↑ "Philippine Air Force Signs Contract for Eight AW109 Power helicopters". Leonardo-Finmeccanica. Retrieved 23 November 2013. ↑ "Philippines takes delivery of AW109 helicopters for navy, air force". janes.com. 1 2 3 4 "PH Air Force gets 10 brand new choppers". janes.com. 2015-08-17. Retrieved 2015-08-17. ↑ EOL Group. "Dostawa dwóch kolejnych Sokołów Filipińskim Siłom Powietrznym z". Retrieved 24 December 2014. ↑ "All PAF W-3A 'Sokols' operational - ZamboTimes". Retrieved 24 December 2014. ↑ Lozada, Bong (11 August 2014). "Downed Sokol chopper repairable, says Air Force official". Inquirer.net / Philippine Daily Inquirer. ↑ Legaspi, Amita (8 November 2016). 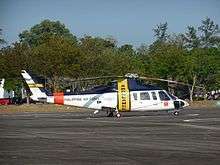 "Four injured as Air Force chopper crashes in Palawan". GMA News. ↑ "PAF to acquire parts for 'Huey' fleet". The Manila Standard. 2015-02-26. Retrieved 2015-08-04. ↑ "SIPRI Arms Transfer Database (1995-2013)". Stockholm International Peace Research Institute. Retrieved 4 July 2014. ↑ "DND defends P1.2B chopper deal". Inquirer.net. 9 March 2015. Retrieved 11 March 2015. ↑ Elena L. Aben (2015-07-14). "PAF Presented The Airworthiness Of The Acquired UH-1D Helicopters". Philippine Air Force. Retrieved 2015-11-25. ↑ "PAF destroys helicopter that crashed in Saranggani". Manila Bulletin. 2015-11-23. Retrieved 2015-08-04. ↑ PAF PIO (2016-01-20). "PAF FORMALLY ACCEPTS 3RD AND LAST C295M AND FOUR UPGRADED UH-1 HELICOPTERS". PAF PIO. Retrieved 2016-01-31. 1 2 3 "Bell 412 in Philippine Air Force". helis.com. Retrieved 2015-03-19. ↑ "Briefer on President Ramon Magsaysay and the presidential planes". Retrieved 24 December 2014. ↑ "Operating Lease Case Study: 4 Brand New Bell 412EP for The Philippine Presidential Airlift Wing" (PDF). ITC-Aerospace, Inc. & ITC-Leasing, Inc. Retrieved 2009-06-10. ↑ "No survivor in presidential chopper crash, Palace says". Philippine Daily Inquirer. Retrieved 2009-06-10. ↑ Frances Mangosing (2014-03-28). "PH acquires P23.7B-worth of fighter jets, helicopters". Inquirer.net. Retrieved 2014-07-05. ↑ "Philippine Air Force took delivery of its two first Bell 412EP utility helicopters". Air Recognition. 2015-07-02. Retrieved 2015-08-04. ↑ "Sikorsky UH-60 Black Hawk Medium Lift Transport Helicopter (1979)". MilitaryFactory.com. 2015-06-15. Retrieved 2015-07-31. ↑ "ASN Wikibase Occurrence # 166958". Air Forces Monthly c/o Aviation Safety Network. 2014-06-14. Retrieved 2015-07-31. ↑ "15th Attack Squadron". 15thstrikewing.mil.ph. 2011-11-29. Retrieved 2012-01-16. ↑ "16th Attack Squadron". 15thstrikewing.mil.ph. 1974-08-01. Retrieved 2012-01-16. ↑ "17th Attack Squadron". 15thstrikewing.mil.ph. Retrieved 2012-01-16. ↑ "18th Attack Squadron". 15thstrikewing.mil.ph. Retrieved 2012-01-16. ↑ "20th Attack Squadron". 15thstrikewing.mil.ph. Retrieved 2012-01-16. ↑ "25th Attack Squadron". 15thstrikewing.mil.ph. Retrieved 2012-01-16. ↑ "460th Maintenance and Supply group". 15thstrikewing.mil.ph. Retrieved 2015-02-06. ↑ "461th Field and Depot Maintenance Squadron". 15thstrikewing.mil.ph. Retrieved 2015-02-06. ↑ "462th Supply Squadron". 15thstrikewing.mil.ph. Retrieved 2015-02-06. ↑ "463th Avionics,Armaments Maintenance Squadron". 15thstrikewing.mil.ph. Retrieved 2015-02-06. ↑ "590th Base Group group". 15thstrikewing.mil.ph. Retrieved 2015-02-06.